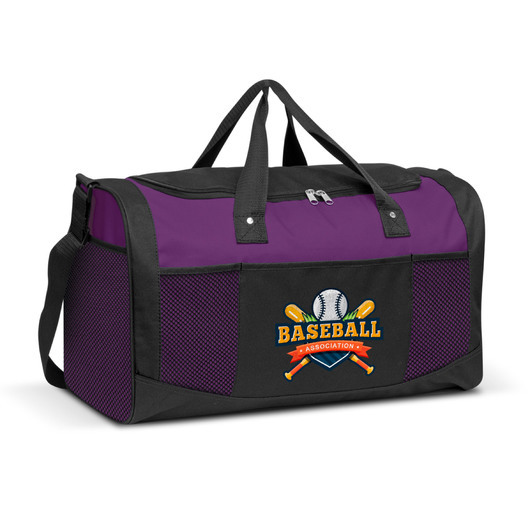 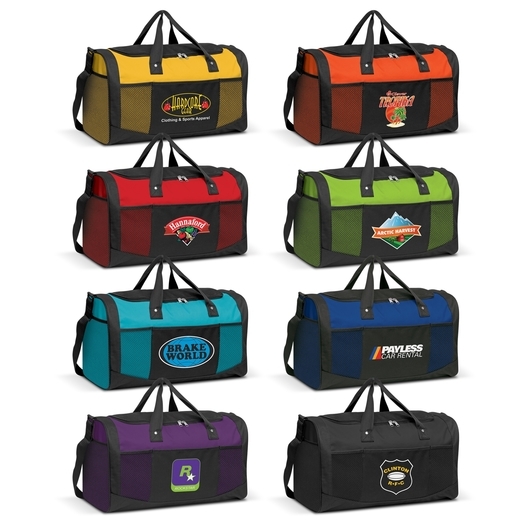 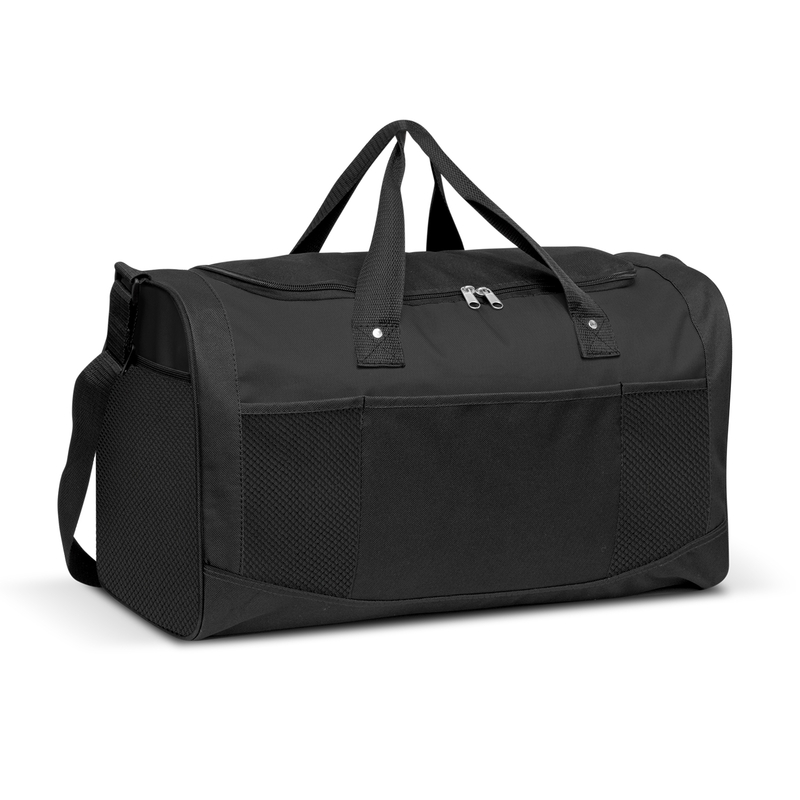 A duffle bag for your travel and recreational needs. This versatile but stylish duffle bag is lightweight and has a colourful vibrant feeling. It's made from tough 600D polyester material and has an adjustable woven shoulder strap and the woven carry handles are riveted to the bag for added strength. Features also include a slip pocket on the front and three external mesh pockets.